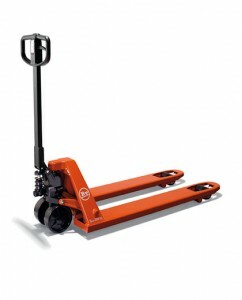 Consisting of thirteen BT Lifter models and two BT Pro Lifter models, the L-series range of low lifting hand pallet trucks is suitable for horizontal pallet transport, loading / unloading and order picking. With load capacities of up to 3 tonnes, our versatile trucks can be customised to suit a variety of material handling needs, including operations in corrosive and hygienic conditions. Lasting up to five times longer than other brands in work cycle tests, the BT Lifter low lifting pallet trucks offer durability, ease of use and low lifetime cost. Ideal for everyday use, the L-series standard LHM230 model offers a lifetime guarantee on the fork frame and a load capacity of 2.3 tonnes. 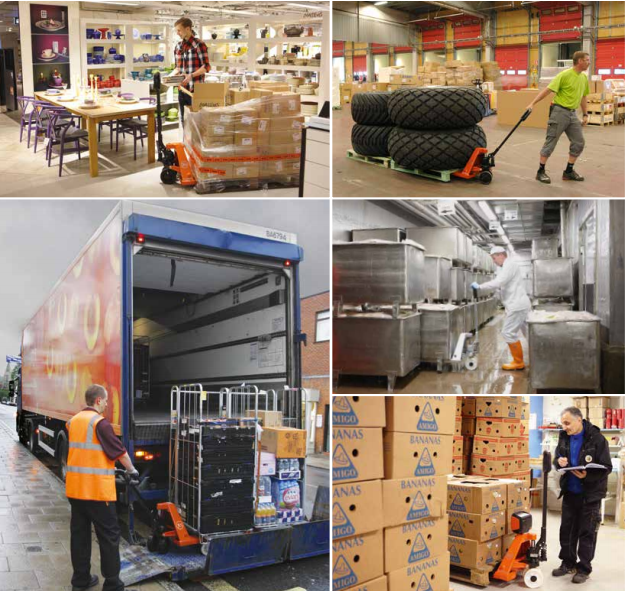 Easing the process of early morning and late night deliveries, the BT Lifter Silent LHM230SI model operates with a noise level below 60 decibels (dBA). In addition to a 3 tonne model, our range of hand pallet trucks also includes two ultra-low models: the LHM100ULF with single fork and the LHM100UL with twin forks. These are suitable for applications that require very low clearance carriers, such as disposable pallets or load ledges. The LHM230U, LHM200L and LHM200Z are designed for load carriers with low pallet tunnels. When half pallets need to be handled, we offer the LHM075H.